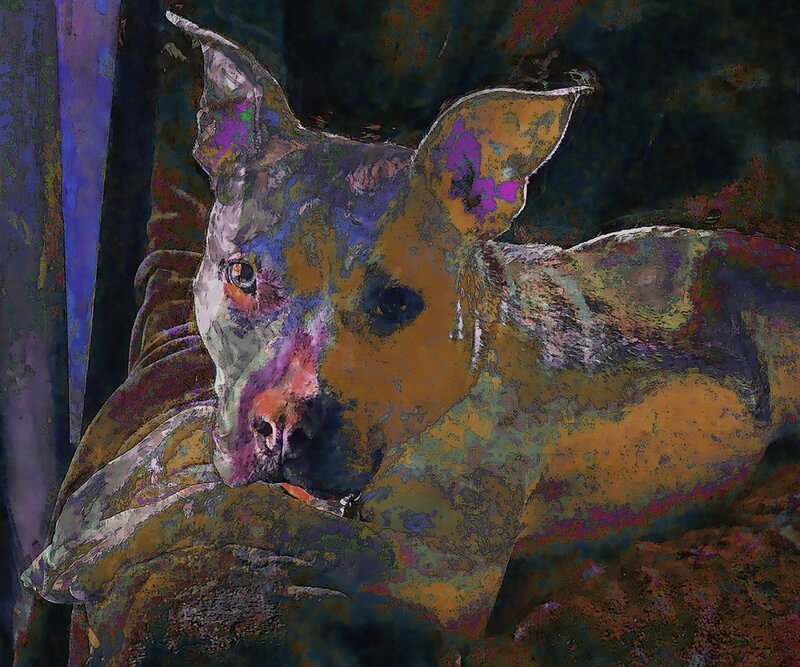 This picture of Lola was created to raise awareness and money for the rescue of animals. She is currently being fostered through a group called, "Canine Cupids". This piece is 24" x 20 " and printed on brushed aluminum.